In my short few years as a photographer, I’ve been lucky enough to see a lot of things that many do not have the ability to see. On the same token, I’ve also been in quite a few perilous weather situations fighting the odds. 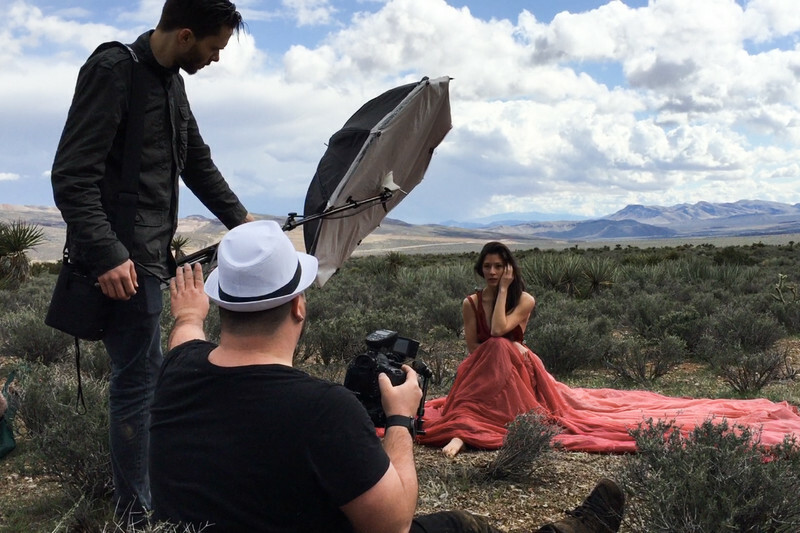 In this profession, there are so many positions and people involved to capture a professional advertising campaign, re-scheduling due to weather costs a lot of money. So, it’s my job to take what’s given and make lemonade from a lemon. In other words, I make it work. 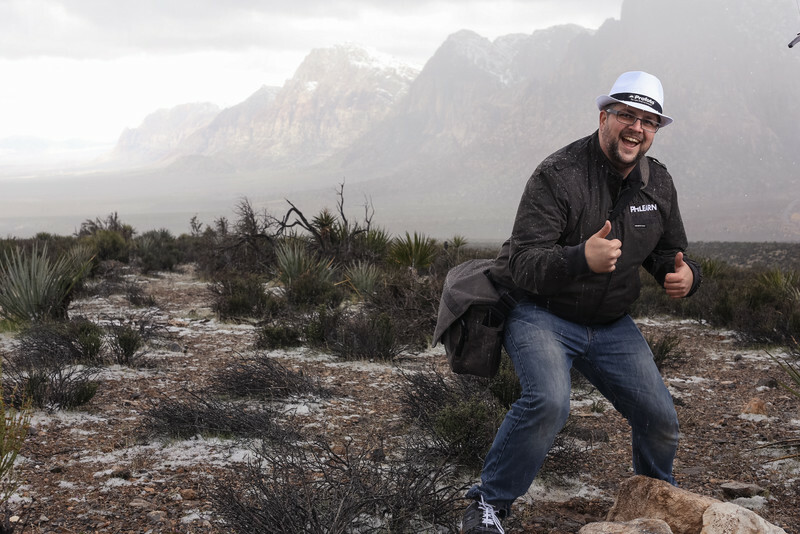 During my stay in Las Vegas for WPPI (Wedding & Portrait Conference and Expo), I met with David Crewe of the educational brand Phlearn to discuss a fun and laid back photoshoot in Red Rock Canyon. 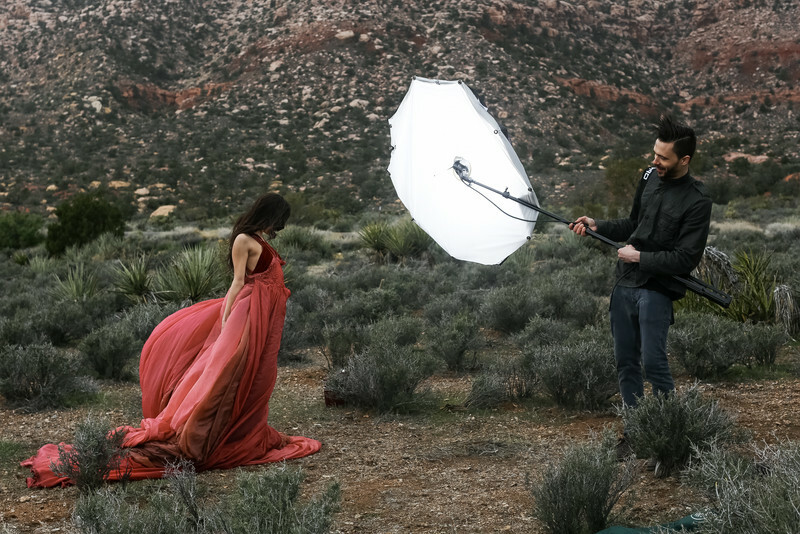 24 hours later, we had a beautiful model Nanako Hawley, a gorgeous parachute dress from Lindsay Adler and Dream Shoot Rentals and the brand new Profoto B2 system which had only been introduced hours before. I had no inclination of how to use the system and to be honest, I was quite skeptical. I have been a loyal Profoto user since 2012. I love my D1 500 set and when Profoto introduced the B1, I was floored and was definitely into it. 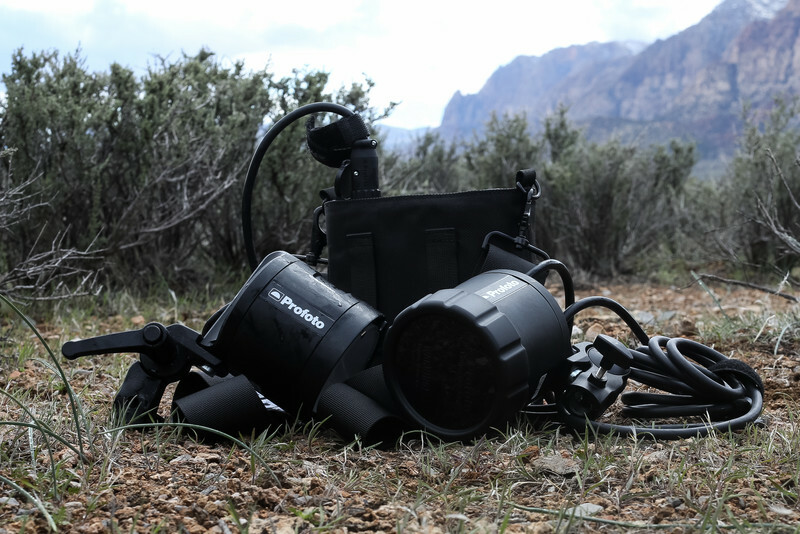 Then Profoto announced the new lightweight B2 head and pack. I was excited, but was disappointed when I saw the native battery pack and looked at the power specifications… it was only 250w/s. That skepticism all changed when we left the canyon. As we came over the ramp and looked out to the top of the canyon we could see some severe cloud cover. I was worried, but ready to face the elements. 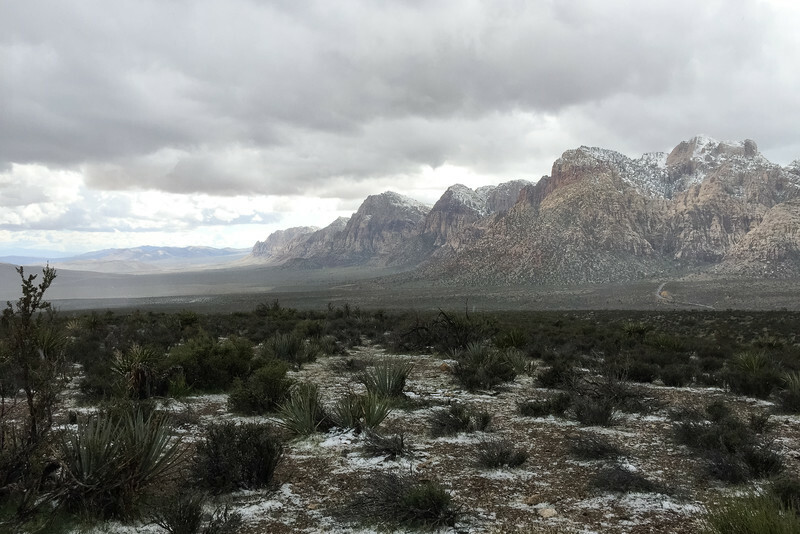 Once we entered Red Rock Canyon and began to drive up the mountain, we soon realized we were in for a real treat. The cloud moved overhead and we started to notice small pellets of ice smacking the window. Before long, we were trapped in a dramatic hail storm with freezing winds and soaking wet conditions. But, we weren’t giving up. 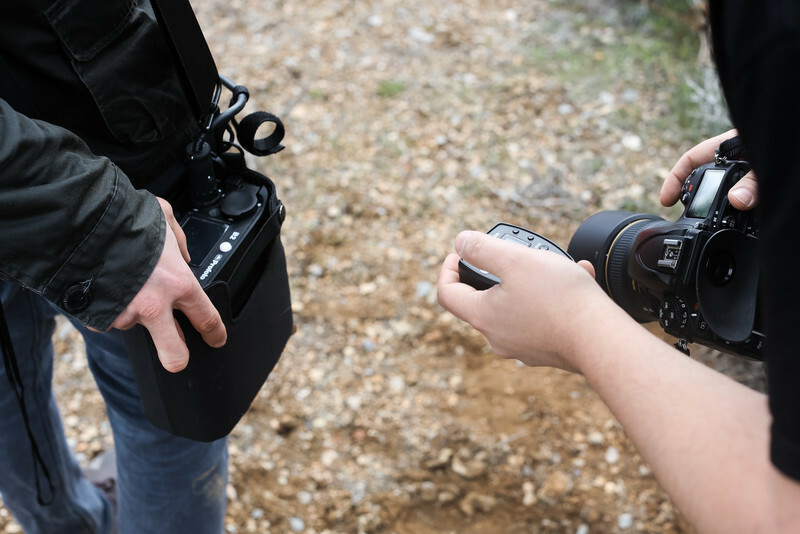 Once we reached out destination and setup, we realized that this would be a very short shoot. The temperature was near freezing and the wind was strong. A stream of rain and hail continuously beat down on us. Despite the nasty conditions, we dove in and began snapping shots with little zero testing and pre-lighting. I fumbled around with the Profoto Air Remote and the B2 Battery Pack until I found a suitable setting. 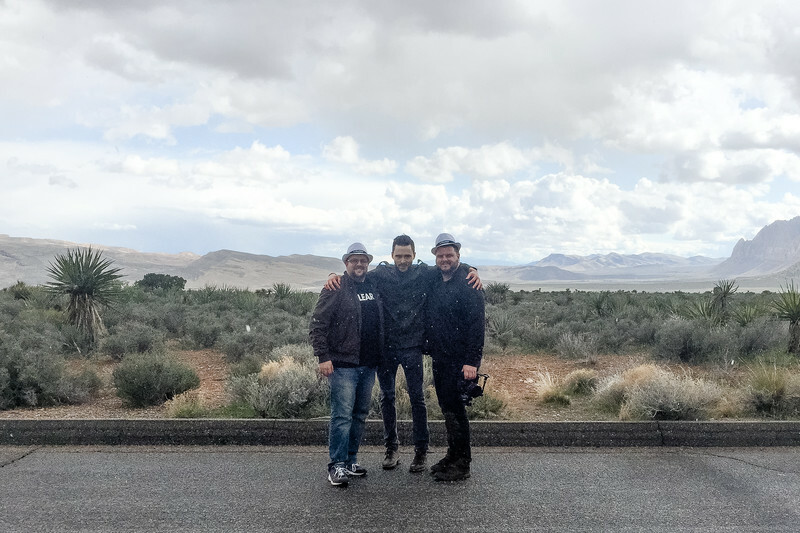 But, by the time we pinned the dress and began getting what we wanted the beautiful mountains had completely disappeared in cloud cover, I knew we had to move. After a brief second set, I called the shoot and we headed back to the car. We could barley feel our hands, I was covered in mud and Nanako needed to get warm. For the first time in a long time, I was disappointed and felt completely inadequate. I didn’t have time to acclimate to the B2 system and the weather had just got the best of us. We packed our gear and hit the road with full intention of leaving the canyon. 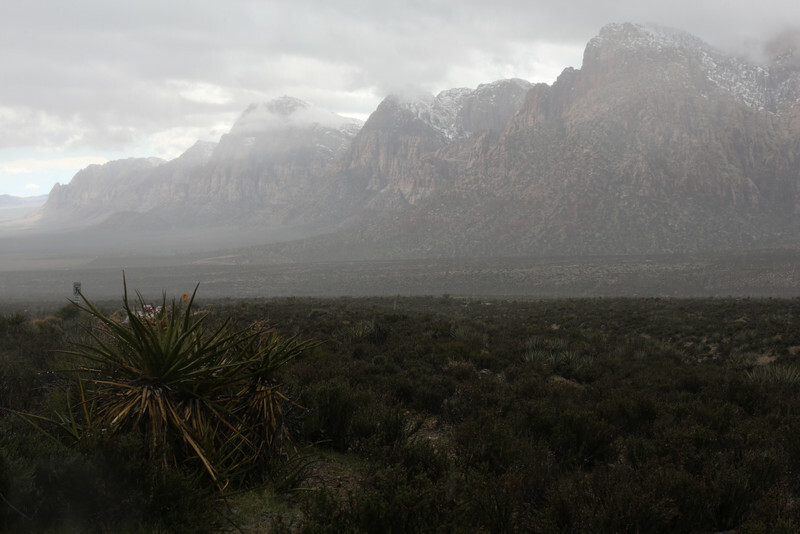 As we headed out and down the mountain, the hail had stopped and suddenly we hit a patch of dry area. I asked to stop the car and capture another quick set, luckily everyone was on board. I was ecstatic. We unloaded and began breaking out all of the gear. Our clothes were soaked so we striped off our wet jackets and hung them over cacti. The sun was slightly peaking through the clouds and I had a beautiful clear background; I could finally relax and enjoy the shoot. 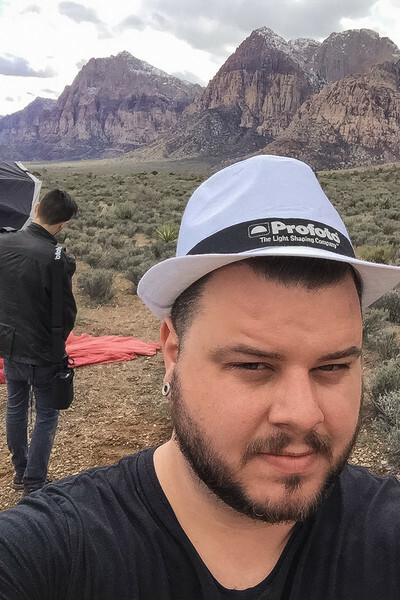 The Profoto B2 Kit turned out to be a lifesaver for myself and my assistant Jacob. 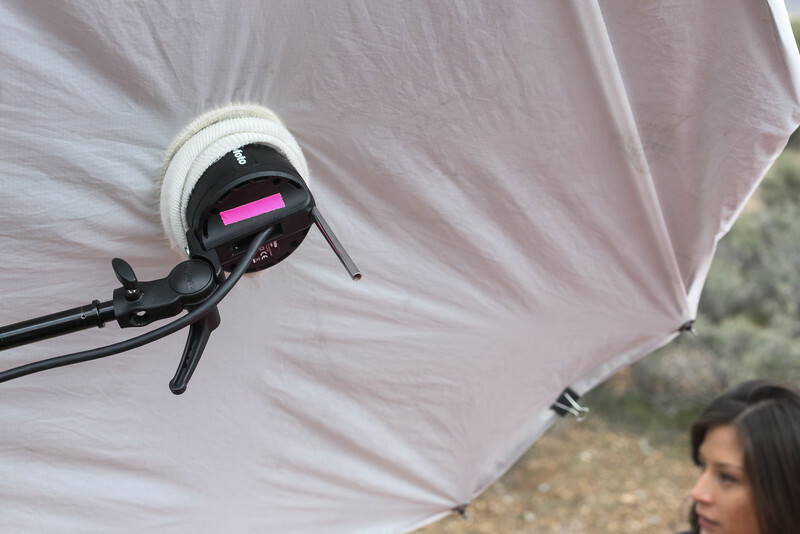 The B2 head is about a third of the size of a B1 head and it weigh’s less than a Canon 600EX-RT Speedlight. The battery pack is about the size of a macaroni and cheese box and weighs much less than a Paul C Buff Mini-Vagabond or any lithium battery pack. The portability and quick-to-setup system helped save time and gave us the ability to move sets with zero hassle. I shot most of the images at half power which was plenty for a nice balance of ambient and artificial. The pack was easy to use and navigate as the buttons are clear and simple. Since the B2 head was running on battery, I was worried about the recycle time and potential misfiring. Well, there was zero recycle time and I didn’t have one single misfire. Call me impressed. Near the end of the shoot, I started messing around with the Air Remote controls and my camera settings. Almost instantly, I figured out how to achieve High Speed Sync and suddenly the game changed for me. I was able to bring down the ambient level of the sky and still maintain my depth of field. I captured every shot at 1/1000 shutter speed. This was my first time ever using High Speed Sync and it’s everything I’ve ever wanted in a strobe and more. Finally satisfied and confident with the results, we packed up and hit the road back to the Vegas strip for a hot shower and a cold beer. 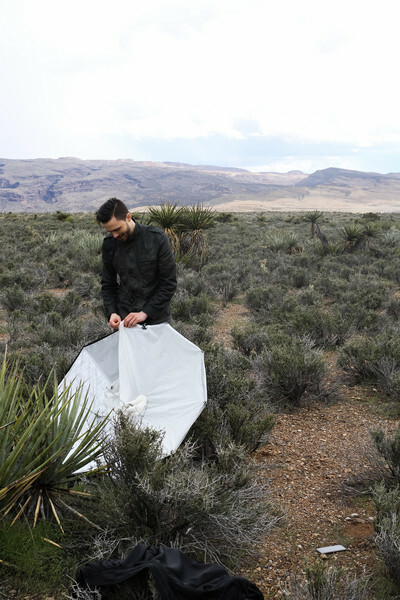 Excitement was in the air and both my assistant Jacob and I were enthralled with the B2 system. My skepticism had been left at the canyon. The Profoto B2 system is real deal. if you need proof, just scroll down and watch. Special Thanks to Chris Fain with Profoto, Lindsay Adler with Dream Shoot Rentals & David Crewe with Phlearn for all the help and assistance with making this shoot happen.